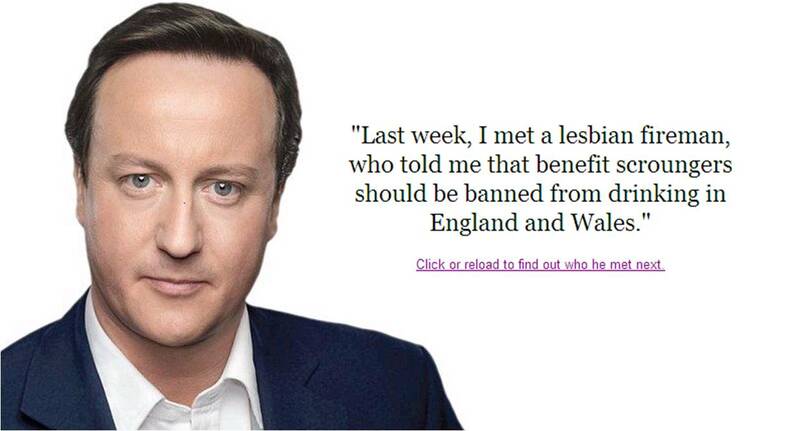 Who did David Cameron meet next? Here’s a great new website taking the piss out the formulaic, box-ticking and slightly cringe-worthy manner in which David Cameron answered questions in the Leaders Debate last week. Previous Whose cider are you on?